After finally teaching myself patience and the art of painting my own nails, I have had a recent obsession with finding new, fun colors to practice with. And by far my favorite so far have been the glittery shades at Urban Outfitters. 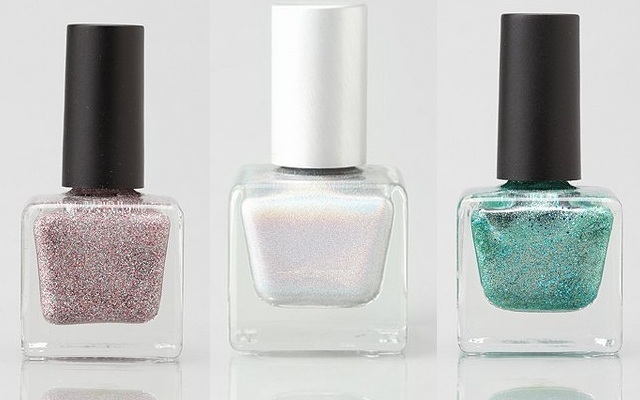 The polish comes in a variety of fun shades from turquoise to midnight blues to multicolor sparkles and is perfect for making a cool statement or for a night out. And the best part is, the glitter makes it easy for your manicure to look perfect, because any streaks or inconsistencies in the paint job are hidden behind the iridescent polish. I just bought two more shades yesterday (the turquoise pictured above and an indigo midnight blue shade) and can't wait to try them out! I always love a little dose of glitter when it comes to the nails!